Since 2006, Apologetics Press has been pleased to present a Christian television program that we think rivals any secular children’s TV show. Here is a program that offers to young minds critical content on God as the Creator. With so much electronic media coming at children these days, a kid’s program that directs their attention to spiritual concerns is invaluable. 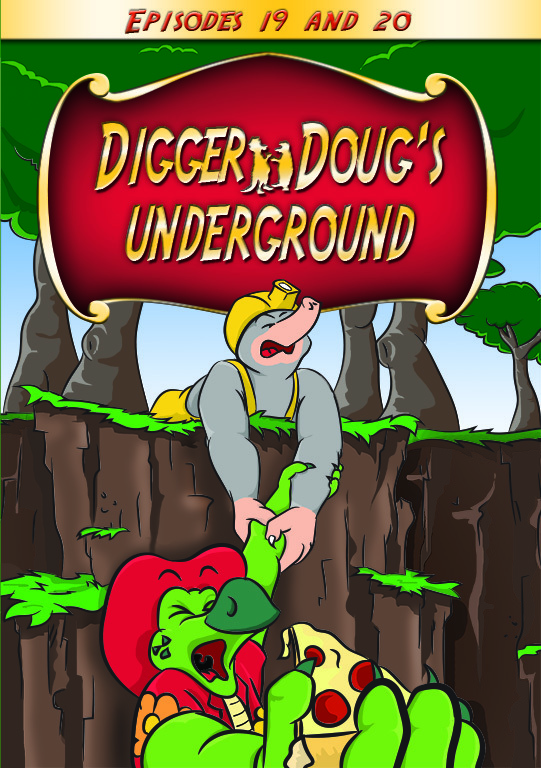 Digger Doug’s Underground is A.P.’s children’s program based on the characters from our popular children’s publication Discovery Magazine. Those characters come to life on Digger Doug’s Underground, teaching basic principles of Creation and the reality of God as the Creator. What child would not be fascinated by Digger Doug (a talking mole), Iguana Don (a precocious dinosaur), Sing-a-Long Sycamore (a singing tree), Professor Whitecoat, Geologist George, and several other interesting characters? Together they explore basic Bible teachings about God, His Word, and His amazing creation. Like sponges, children inevitably “soak up” those influences to which they are exposed. How fundamentally critical for parents and grandparents to provide resources to shape and nurture their children and grandchildren in the direction of God and His Word. Even as Moses warned the Israelites, “teach them to your children and your grandchildren” (Deuteronomy 4:9), so Paul admonished Christian parents to “bring them up in the training and admonition of the Lord” (Ephesians 6:4). The latest offerings of this program are titled “Life in the Making” (Episode 19) and “A Mountain of Knowledge” (Episode 20). Approximate run time is 52 minutes. Order your copy today from our Web site or by calling our 800 number.